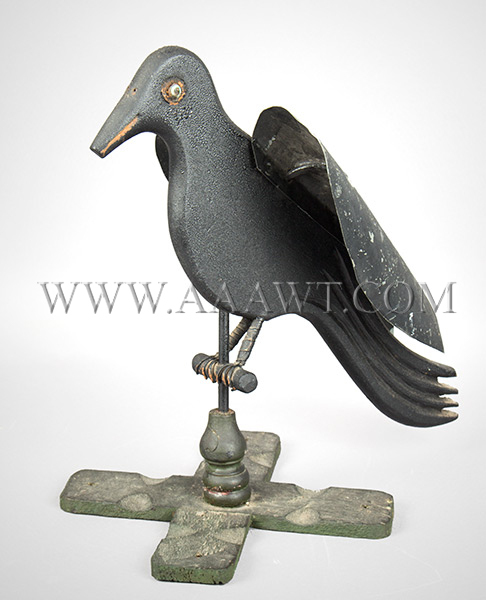 Wire feet clutching perch, bead eyes, great surface Please call for enthusiastic discussion. 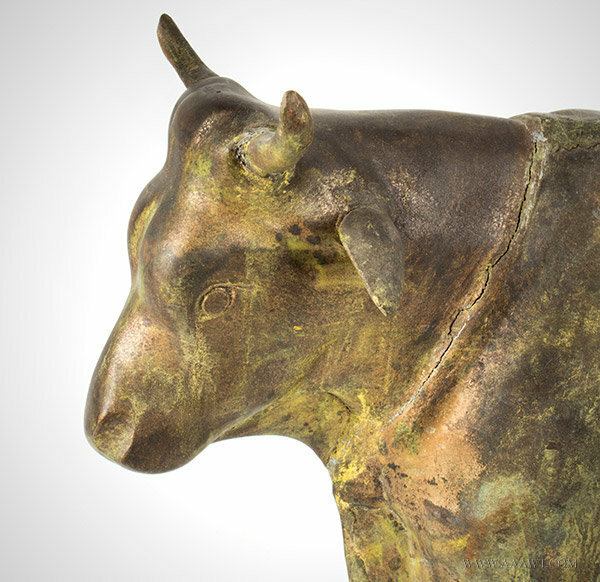 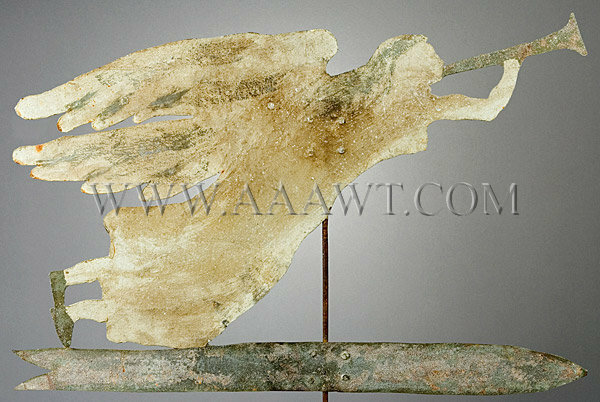 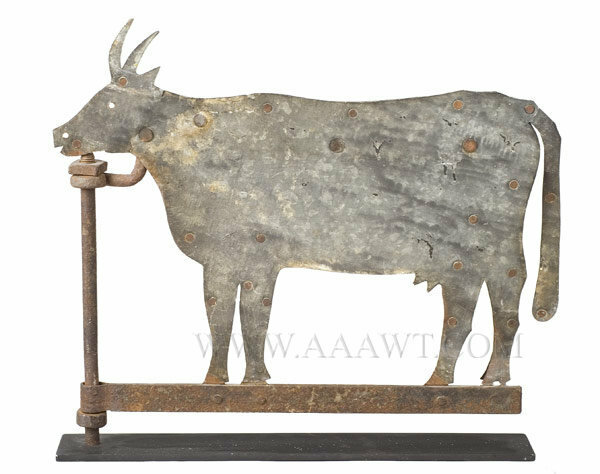 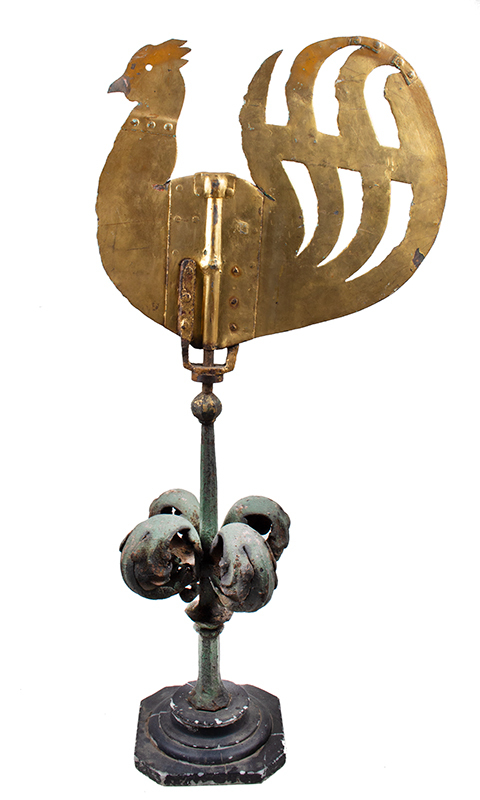 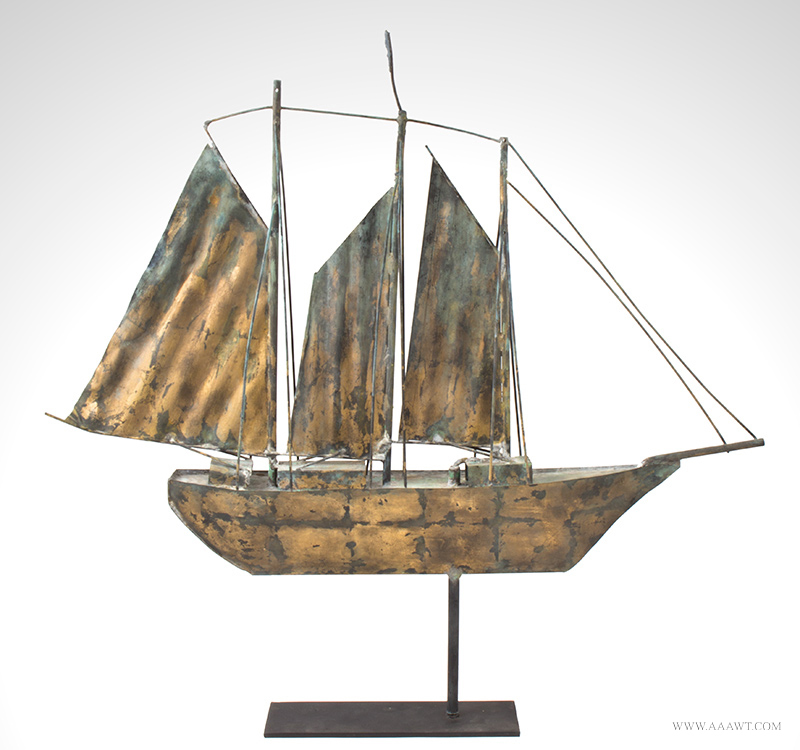 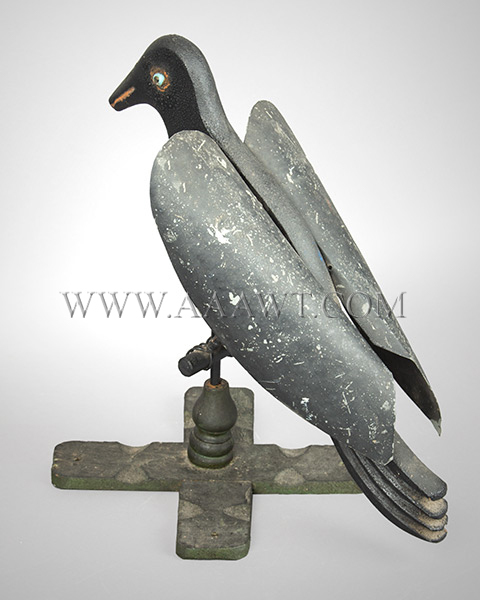 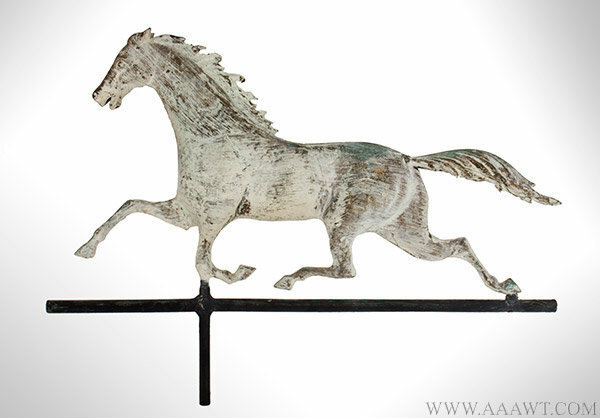 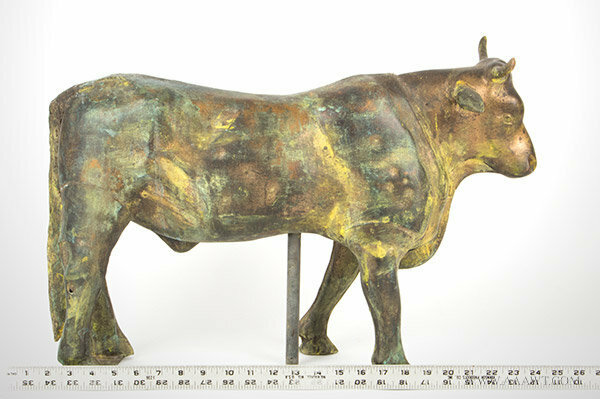 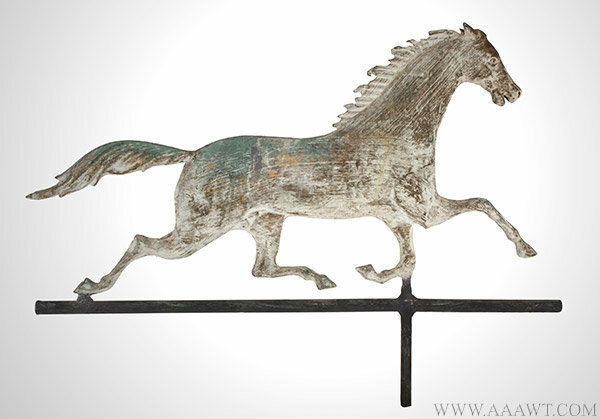 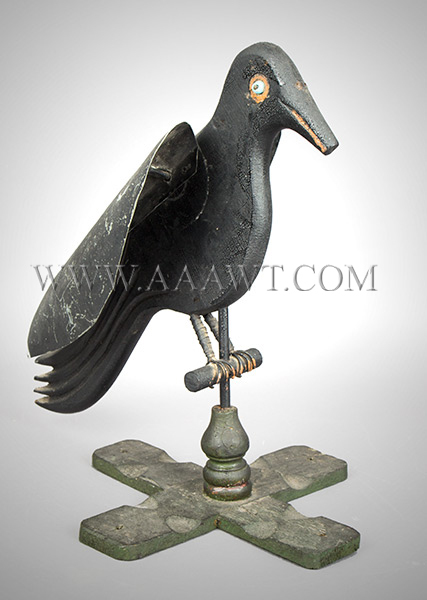 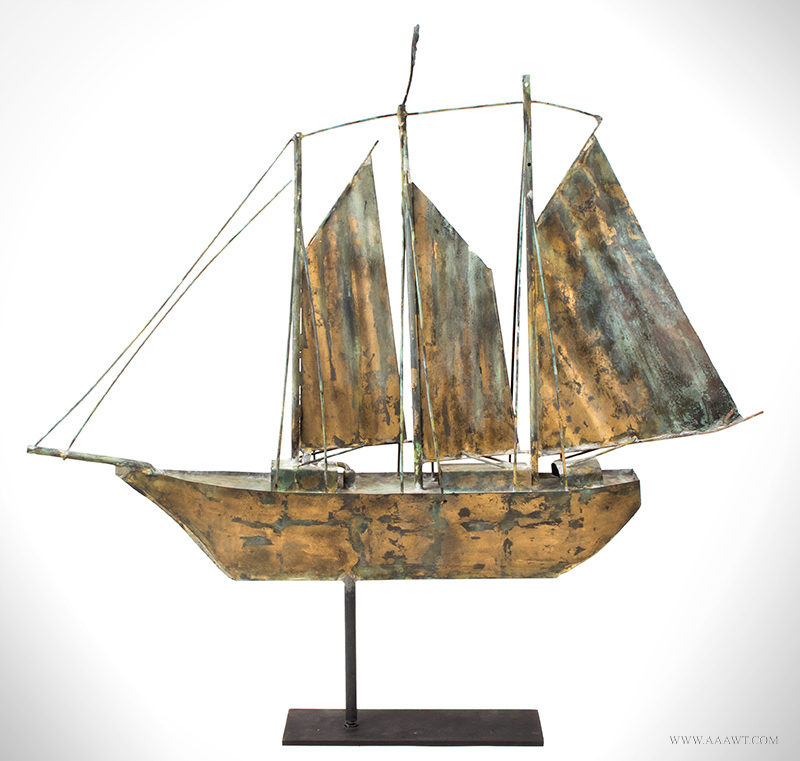 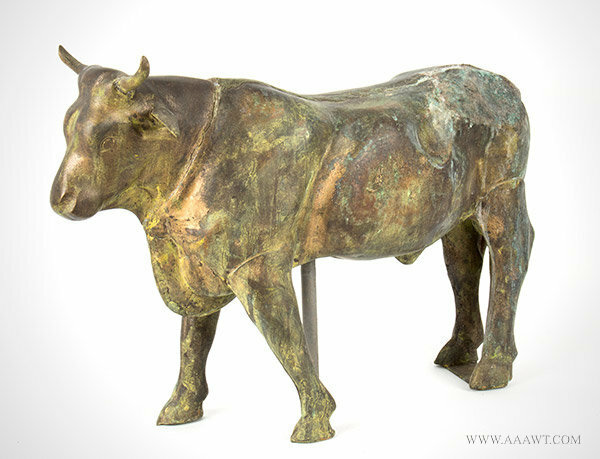 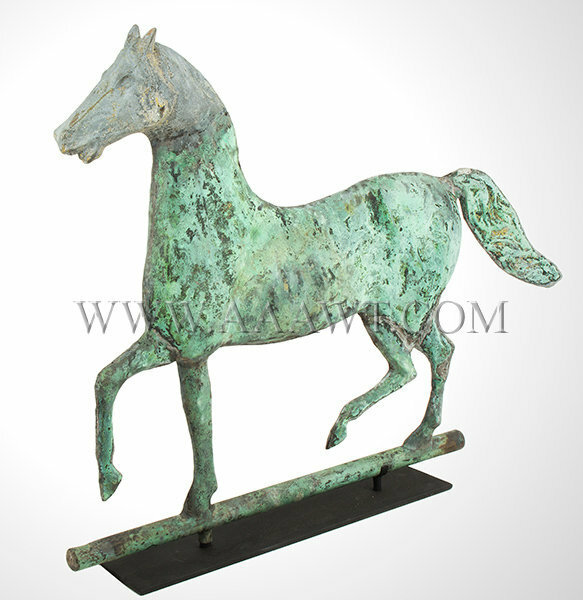 This highly stylized large copper weathervane measures 49-inches in length and is 11-inches in height. 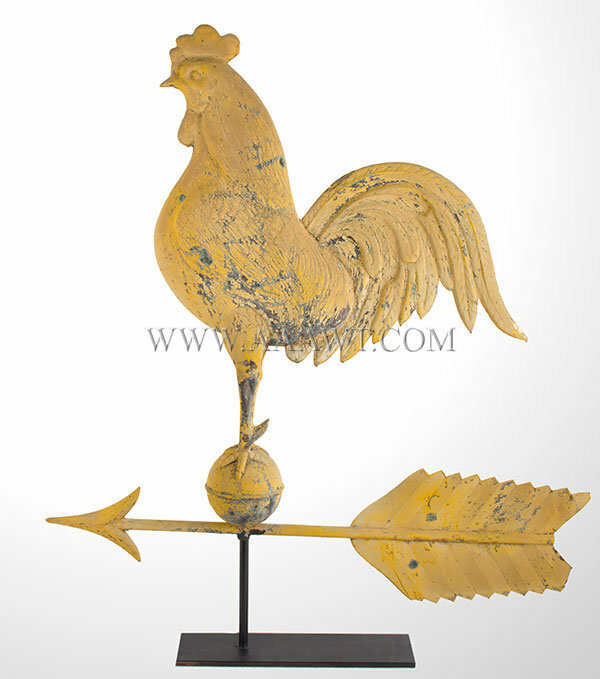 The surface is clean with only the most minor dings; gold leaf with traces of a yellow sizing. 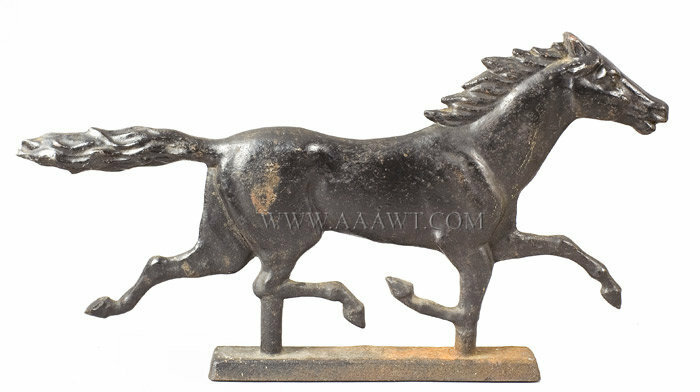 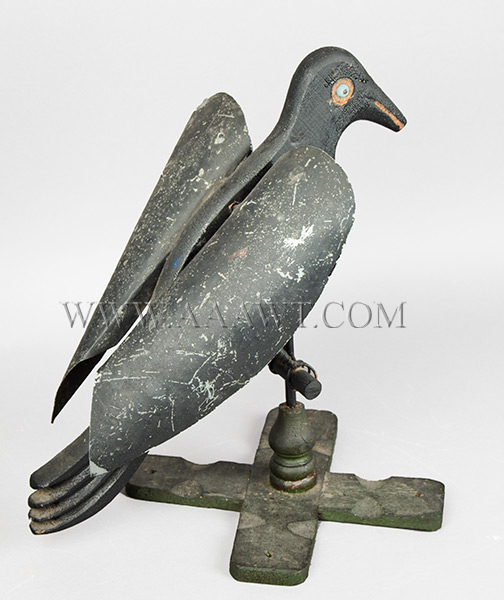 A mold-cast form; very heavy, possible windmill weight, beautiful silhouette; perhaps inspired by weathervane form. 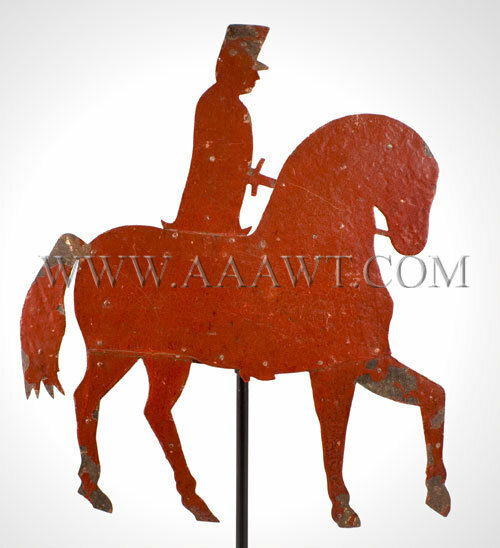 Outstanding...and correct, this powerful silhouette in old red paint.